Los Planetas, new VIDA's 2018 headliner! 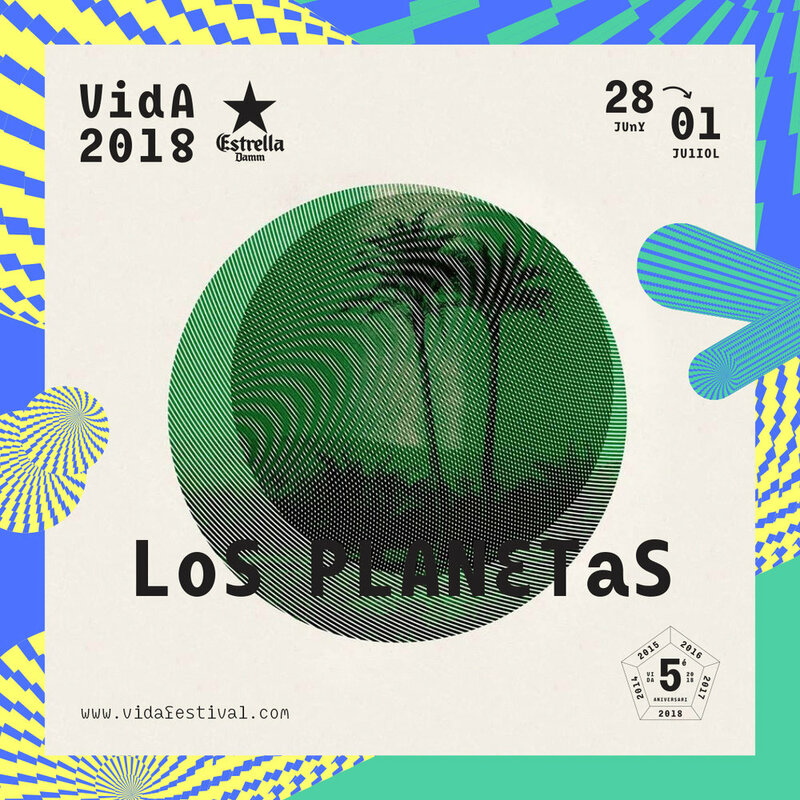 Los Planetas joins VIDA's 5th anniversary line-up as one of the headliners along with the already confirmed artists Franz Ferdinand, St. Vincent, Iron & Wine, Calexico, Nick Mulvey, Curtis Harding, Joe Crepúsculo, Maga, Núria Graham, El Petit de Cal Eril, Oso Leone, La Plata, Vulk and Medalla. This year's edition will take place from June 28th to July 1st in Vilanova i la Geltrú. Los Planetas, since their appearance in the 90s to date, have created a large number of generational hymns, thus becoming one of the great bands of Spanish pop. After seven years of silence, the formation from Granada lead by Jota returns to the stage with Zona Temporalmente Autónoma, an album that demonstrates the great state of shape of the band and that shows a remarkable renovation in their sound. Older PostCurtis Harding is VIDA!